What is the role of a Commercial Analyst? Within our team of expert hospitality consultants, Commercial Analysts have a key role to play; they identify and advise new ways of increasing hotel revenue and ultimately driving profit. An important part of hotel asset management is making the right decisions to encourage a hotel’s profitability. These decisions are influenced by in-depth analysis of data, gathered by our experts using cutting-edge tools. The commercial team here at Michels & Taylor investigates these results and formulate how they can best support hotel stakeholders to make durable and profitable decisions. The core aim of a Commercial Analyst is to look at a set of numbers on a Profit & Loss statement or a report pulled from a hotel’s Property Management System and be able to apply analysis to this information. In doing so, they can make informed suggestions to stakeholders that will benefit the business. Utilising a keen eye and knowledge of the sector, Commercial Analysts conduct in-depth analysis of various areas including operations, revenue, expenses, competition and more. This insight is imperative when it comes to identifying ways to make a hotel more profitable. Their expertise helps to create a suite of tools to best equip the Commercial teams across the properties as well as internally and the wider industry. Commercial Analysts implement and construct these tools to present data in a clear and concise way and have the ability to give accurate explanations. By determining patterns and changes of strategy, they can provide explanations as to how and why trends are occurring. 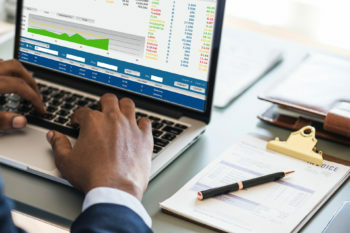 They can then advise on what eventualities may affect growth including budgets, processes, needs and sales; the information they gather can ensure accurate forecasting for hotels and contribute to detailed reports that will benefit performance. These tools are used in the industry as we strive to make tools more user friendly and reduce the time it would have taken to complete. They are highly accurate and help the M&T team and the on-site team at the hotels to make key decisions to drive total revenue. With an ever-changing hotel industry, it goes without saying that keeping up-to-date with hotel openings, evolutions and competition is key. With that in mind, Commercial Analysts need to maintain extremely accurate knowledge of the industry and the hotel’s organisations to be able to provide the best reports and suggestions to stakeholders. The diversity of PMS used across our properties provides another challenge for our Commercial Analysts. They need to ensure the tools they produce allow a compatibility of PMS to able to centralise the reporting for the portfolio. We overcome day-to-day problems because we have a proficient understanding of the industry and the ability to create tools which make the impossible, possible. Other challenges include external factors such as increased competition and new launches, one-off events that can influence the market, annual events, the strength of currency in relation to inbound tourism, Brexit – the list goes on. It can be difficult to forecast accurately if these things aren’t taken into account. Thankfully, the experts at Michels & Taylor are adept at considering all possibilities. Michels & Taylor stands out as one of the best hotel asset management companies in the UK. To find out more about our hospitality consultants and how they can help your hotel, contact us now or call us on 020 8905 2500.